Contrave is one of the latest FDA-approved treatments for weight loss in obese adults. It contains two medicines – naltrexone HCI and bupropion HCI – that are shown to help some overweight and obese adults lose weight and keep it off. Although it has not been studied and is not approved for use in children under the age of 18, Contrave along with diet and exercise has proven an effective weight loss tool in the clinical study of adults. The first, a 56-week study, followed people who took Contrave along with reducing their diet, increasing physical activity, and receiving behavioral counseling. This study compared those participants with others who dieted, but did not take Contrave. The average weight loss at 56 weeks for those who added Contrave to their routine was 5.4 percent of their total body weight. Furthermore, 42 percent of those who took Contrave lost more than 5 percent of their body weight. Among those who dieted without Contrave, the average weight loss was 1.3 percent of total body weight, while 17 percent were able to lose more than 5 percent. The next study also took place over the course of 56 weeks. This one included a more rigorous diet and exercise regimen and included a behavioral modification program that consisted of 28 group counseling sessions over the course of the program. Again, the group taking Contrave was compared to participants who did not take the medication. 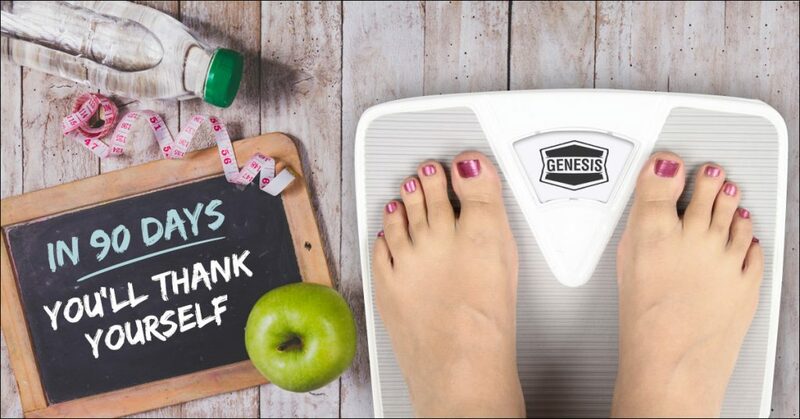 In this study, the average weight loss among those taking Contrave was 8.1 percent of total body weight, with 57 percent of those participants losing more than 5 percent. The average weight loss for those who did not take Contrave was 4.9 percent of total body weight, with 43 percent losing 5 percent or more. Included in these studies were those considered obese, with a body mass index (BMI) greater than 30 and those considered medically overweight, with a BMI of 27 or greater and at least one weight-related medical problem such as high blood pressure, high cholesterol, or type 2 diabetes. Is Contrave Right for You? Your medical provider will meet with you, take a detailed medical history, talk to you about your goals, and together you will determine whether Contrave is a medication that will work for your particular situation. 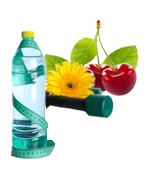 One of the primary reasons for wanting to lose weight is in order to gain greater health. Your health care provider will assess your particular situation, including any other medications you are taking, to determine the risks associated with adding Contrave to your weight loss plan. Do not change your Contrave dosage without speaking with your healthcare provider. If your healthcare provider believes there is a need, he will change your dosage. If you have not met a certain weight loss threshold after 16 weeks of treatment your healthcare provider will tell you to stop taking Contrave. Swallow Contrave tablets whole. Do not cut or crush tablets. If you are unable to swallow Contrave tablets whole, tell your healthcare provider. Do not take more than two tablets in the morning and two in the evening. Never take more than four Contrave tablets in one day. Do not drink a lot of alcohol while taking Contrave. If you do drink a lot of alcohol, talk with your healthcare provider before suddenly stopping. Suddenly stopping alcohol can increase your risk of having a seizure. Make sure your healthcare provider knows about all of your medical conditions, particularly depression or other mental illnesses, attempted suicide, head injury, tumor or infection of your brain or spine, seizures, low blood sugar or low levels of sodium in your blood, liver or kidney problems, high blood pressure, heart problems, and eating disorders. Remember to tell your healthcare provider about over-the-counter medicines and herbal supplements you take. Do not take any other medicines while you are taking Contrave unless your healthcare provider has given you the okay to do so. Contrave is designed to help users lose weight and regain health and vitality. Part of being healthy is keeping a close eye on how the drug effects you, physically and/or emotionally. Inform your health care provider right away if you begin to experience any side-effects of Contrave. It is a good idea to ask a friend or family member to pay close attention to any changes, particularly sudden changes in your mood, thoughts, and behaviors, as you take Contrave. Sometimes, those around us can spot changes in us before we do, so take advantage of their observations. Have trouble breathing, become drowsy with slowed breathing, have slow, shallow breathing, feel faint, dizzy, or confused. The risk of these side effects is increased if you take opioid medicines. Get emergency treatment immediately if you experience any of these problems. Rash, itching, hives, swollen lymph glands, painful sores in your mouth or around your eyes, fever, swelling of your lips or tongue, chest pain, or trouble breathing. These can be signs of a severe allergic reaction to Contrave. Stomach area pain lasting more than a few days, dark urine, yellowing of the white of your eyes, or tiredness. Each can be a symptom of liver damage or hepatitis. Eye pain, changes in vision, swelling or redness in or around the eye. Your doctor can help you evaluate whether Contrave is causing visual problems. Hypoglycemia, or low blood sugar, particularly if you have type 2 diabetes mellitus and also take medication to help treat diabetes. Contrave is an FDA-approved drug for weight loss in individuals who are overweight. When used with a reduced calorie diet and increased physical activity, Contrave can help patients lose weight. It is not known whether Contrave alters your risk for heart problems, stroke, or death due to heart problems or stroke. It is also not yet known whether Contrave is safe or effective when taken with other prescription medicines, over-the-counter medications, or herbal weight loss products. Although it contains some of the same ingredients, Contrave is not approved to treat depression, mental illness, or help with smoke cessation. Active ingredients are naltrexone hydrochloride and bupropion hydrochloride. Inactive ingredients are microcrystalline cellulose, hydroxypropyl cellulose, lactose anhydrous, L-cysteine hydrochloride, crospovidone, magnesium stearate, hypromellose, edetate disodium, lactose monohydrate, colloidal silicon dioxide, Opadry II Blue and FD&C Blue #2 aluminum lake. How was weight loss measured in people taking this drug? Two clinical studies, each lasting 56 weeks, compared the effect of Contrave to a placebo in obese or overweight adults with at least one weight-related medical condition, such as high blood pressure or high cholesterol. How should Contrave be stored? Most importantly, keep Contrave and all your medications, including prescription, over-the-counter, and herbal, out of the reach of children and pets. Store at room temperature between 59 degrees Fahrenheit and 86 degrees Fahrenheit. Contrave may make the test result positive for amphetamines if you take a urine drug screening test while taking this medication. Make sure to tell the person administering the drug screening test that you are taking Contrave and they can do a more specific drug screening. The first thing to do is make an appointment with your healthcare provider. Tell them about your health history, any medications you are taking, and discuss your weight loss goals. Then, commit yourself to a healthier diet and exercise regimen and get ready to lose weight!